Veteran rider Valentino Rossi insists he is still aiming to win the world champion in 2018 MotoGP season. Rossi is still eager to add another win to his collection of titles in the GP event to 10. The last time Valentino Rossi won the world title was in the 2009 season. This season, the Italian rider finished fifth. In addition to the becoming the world champion, Rossi also wants to set a target by winning every race. "The goal is to win the World Championship. My second goal is winning every race. 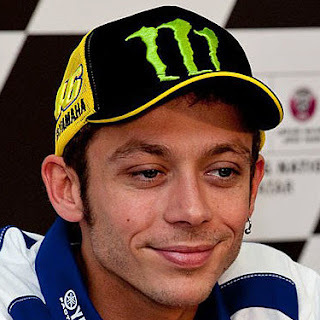 Then, finishing the race on the podium," said Rossi, quoted from Speedweek. Furthermore, Rossi revealed obstacles in this season was in the setting of tires that was often not suitable for use in some tracts. "There are difficult races like in Jerez, Barcelona, Spielberg or Motegi. In 2017, we got the same trouble. Our problem was actually simple on the tires. We have been trying to solve the problem since 2016, but we came across new difficulties (in 2017)," he concluded. Vale has demonstrated his commitment and drive at every race in 2017. He has every chance of claiming the title in 2018 if Yamaha and Michelin can be made to work together!